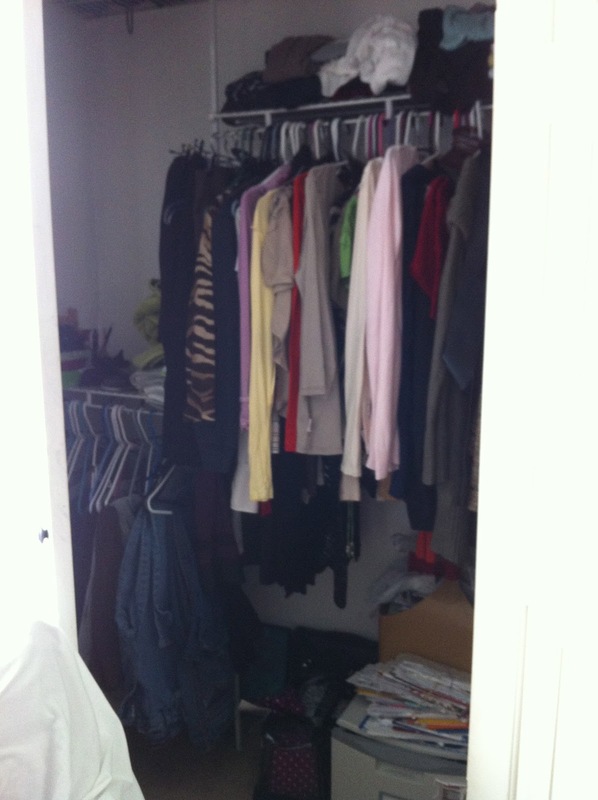 A BEAUTIFUL WORLD: Terry's Closet Before and After!!!! 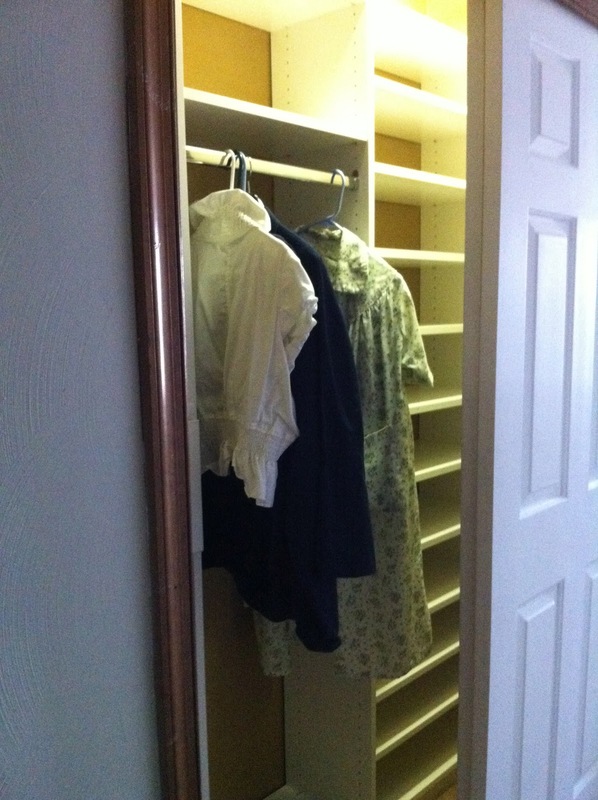 Terry's Closet Before and After!!!! Terry had a large master bedroom and 3 reach in closets, instead of one master! We needed some organization for her. She is an awesome client. We had a lot of fun together and planning her design was a joy. I could really listen to her all day long. She is from Boston, so she has that cool cool accent. I am a voice over artist and love different dialects. She is a great family gal and I instantly relate and could really hear her stories forever. 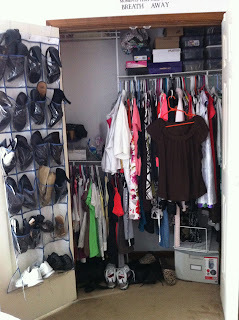 About the design, she knew what she wanted and was great at collaborating her design with me. So we were able to utilize the space better. 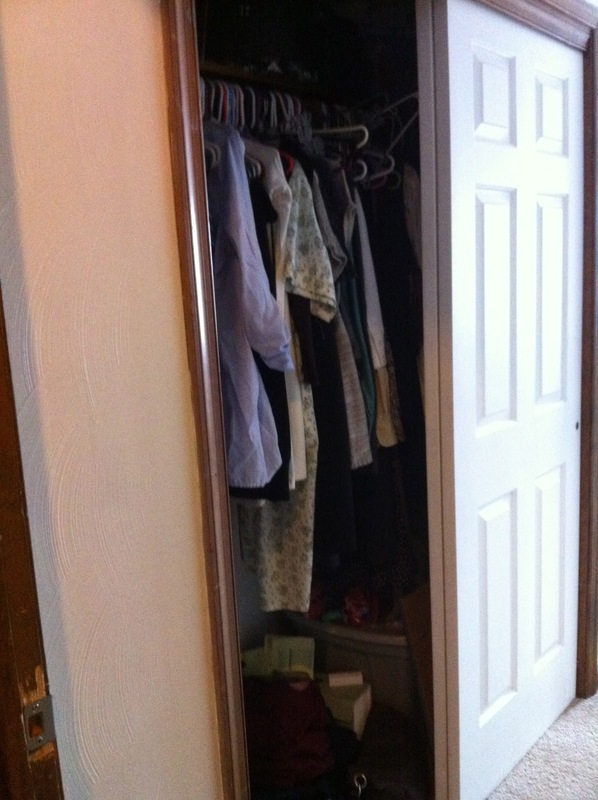 The bed is right off this closet. I wanted her to have a nightstand type thing to put her bottle of water, pills, books, whatever. I also wanted her to have a hamper. Right before she goes to bed, she can put her clothes in the hamper!!! 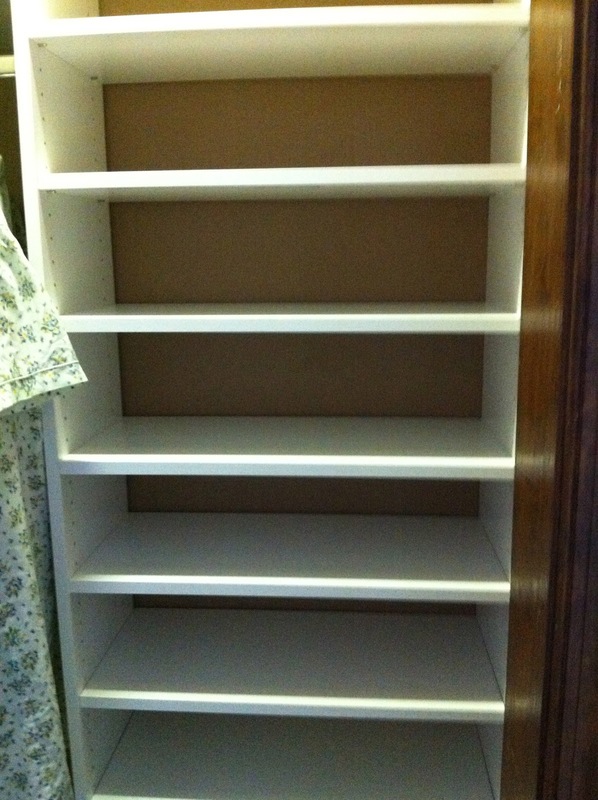 She desperately wanted a file drawer! 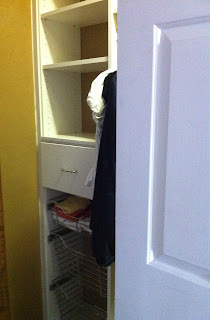 (that is what is above the hamper-it is a lateral file drawer). Beautiful is it???? 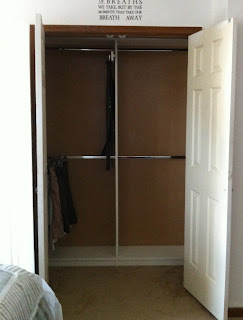 Terry had a lot of hanging items and I wanted closet #2 to be just double hang!!!!! 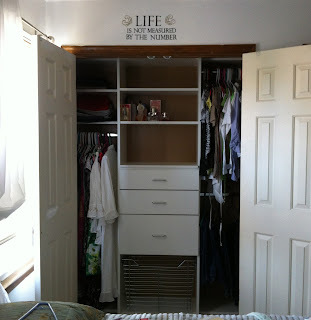 Above it is a shelf for boxes!!! Don't you love the darker brown she used to paint the walls with???? LOVE IT!!!! 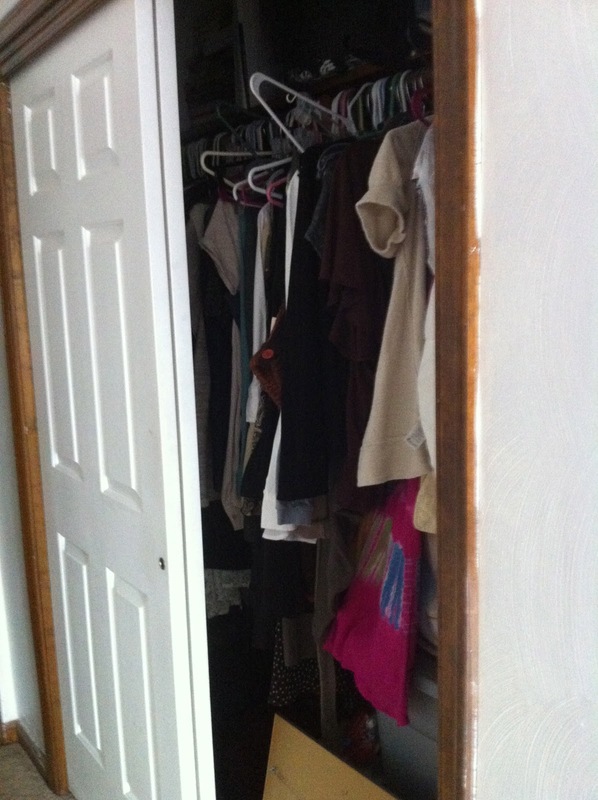 Here is closet #3 after!!! The hanging clothes are in the middle of the closet, although it looks like it is on the end- the photo is misleading. The end had baskets!!! Above is the left side (with the 3 sliding baskets). One drawer. 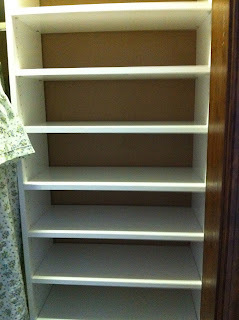 Close ups of closet #3 This large shoe shelf (10 shelves) is on the right side. 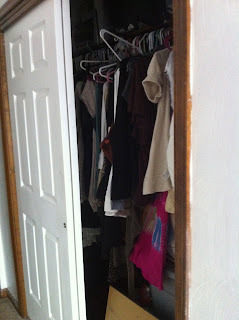 (In closet #2 you will notice all the shoes hanging on the door, my mission was to get rid of that thing) With sliding doors, you really have to keep hanging in the middle!!! This was the only closet out of the 3 that had sliding doors the other doors were french doors. There you go!!!! All done! So happy, Terry was thrilled. She will be even happier in the morning when she is organized and clutter free and able to see all her clothes. I think she will spend less money when shopping because she can see all her stuff. 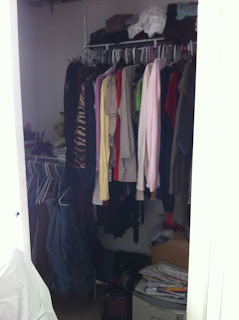 Here I am, saving the world one...closet at a time!!!!! YAY!!!! OK! I admit it. I am hungry.